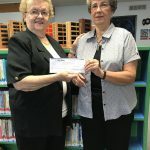 The Silver Lake Public Library Foundation was the recipient of a $1,000.00 donation from Ed Bozarth Chevrolet. 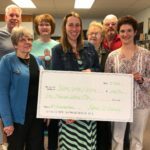 The Foundation was Sharlee Mason’s choice when her name was drawn from numerous entries during the Company’s anniversary celebration. Sharlee is shown on the right presenting the check to Janet Martinek, Chair of the Foundation’s Board of Directors. 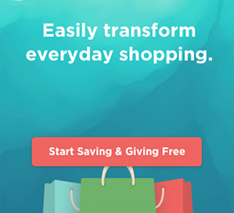 Now when you shop at Amazon, you have an option to support the Silver Lake Public Library Foundation by shopping AmazonSmile. 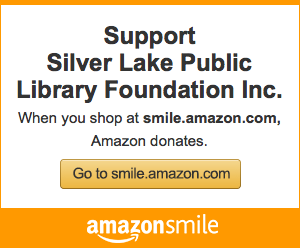 AmazonSmile Foundation will donate 0.5% of the price of eligible purchase to the Silver Lake Public Library Foundation.